It’s been a whirlwind of vehicles for us this month. In case you didn’t hear about some of the excitement—and also because my head spins sometimes—I’m here to do a recap. We sold our beloved “Wanderer” 1995 Chevy Roadtrek. We only owned it for 8 months and put 10,000 miles on it, but we knew it would sit this summer, then again next winter. It was better off in someone else hands and it was an easy sale because it was such a great little camper. We learned a lot and had a lot of fun and that will not be the last camper van we own. Then we impulsively purchased a 2016 Chevy Trax. I’ve always been in the Chevy family, as my dad worked at GMAC for 30 years. I’ve also always been a new car kind of gal, as my dad had a revolving door of new cars when we were growing up. In fact, we never let our cars go over 80K miles! When I met Justin, he was more of a used car kind of guy, but we’ve compromised over the years. With our most recent car purchase, we debated going the used route, but we wanted to have that “do anything car dependence” for the foreseeable future, even if this one will sit in a garage all summer. Plus, it’s hard to pass up our “employee discount” deals with Chevy and well, J’s nickname is Deal. But, the real reason for this blog post is to introduce you to our summer ride: a 2016 Mercedes Sprinter Van courtesy of Superfeet. 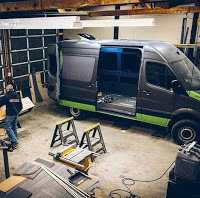 We’ll call it the Supervan for now! When Superfeet first asked what we would be driving around the country for our speaking tour, we said it would be our Chevy Roadtrek. Well, our rep responded about Superfeet having this Sprinter passenger van that was just sitting unused. 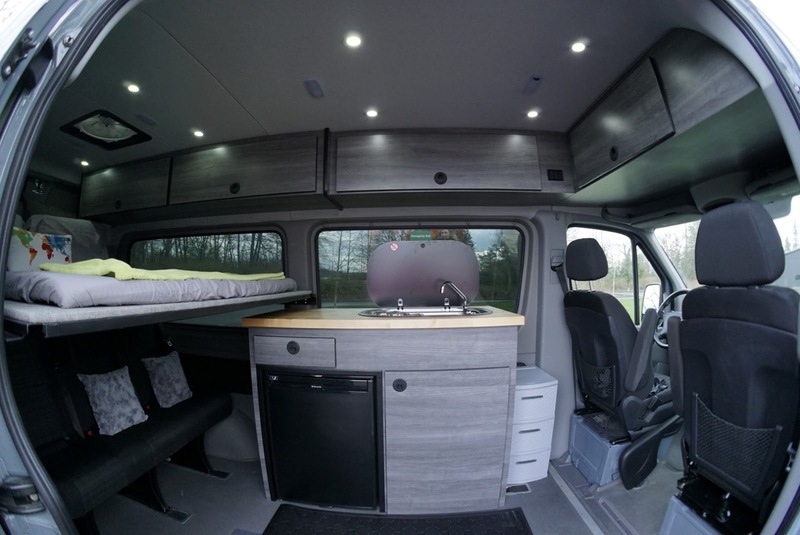 She took our requests for interior modifications and the van is just finished being built out by Northwest Conversions. This will be our smallest van space we’ve lived in, but it’s AWD, reliable and flashy–muy bien for our summer tour. 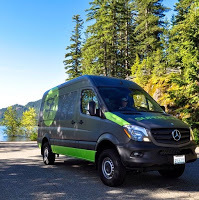 I keep pinching myself thinking how spoiled we will be driving around a brand-spanking new Sprinter from May 12 (we will pick it up in Washington a week into our tour) through July 26.